If you are looking for that awesome cabin in the wilds of the big woods look no more! 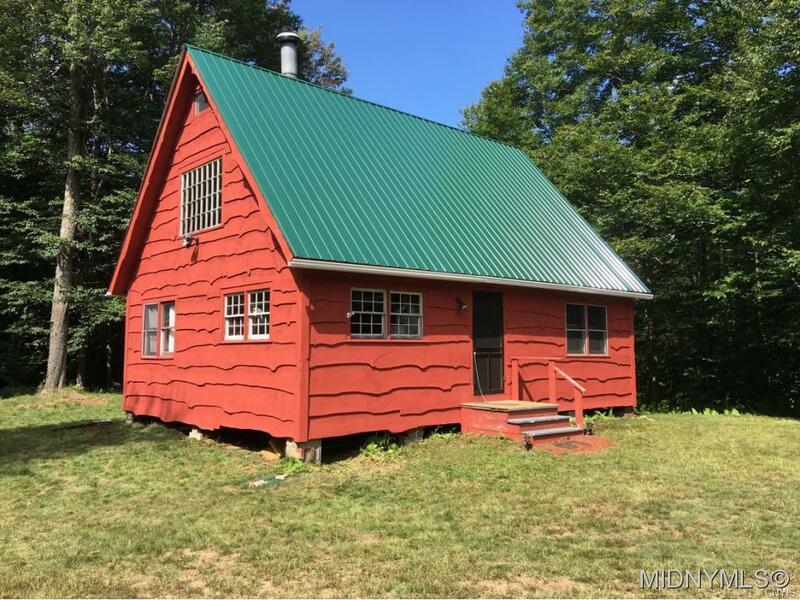 Beautiful fully insulated camp with water on wooded 43.85 acres with immediate access to thousands of acres of State Lands and Waters. Camp is being sold furnished.Includes storage shed and the lawn mower too! Excellent construction. Just needs your finishing touches on the inside or leave as is and spend your time exploring the wilds! Directions To Property: From The Intersection Of Horton Rd And Kincaid Rd In The Town Of Forestport Head North Through Yellow Gate 2.3 Miles To Rd On Right Marked Jonas Rd. Travel 1.2 Miles To Driveway On Right With For Sale Sign.